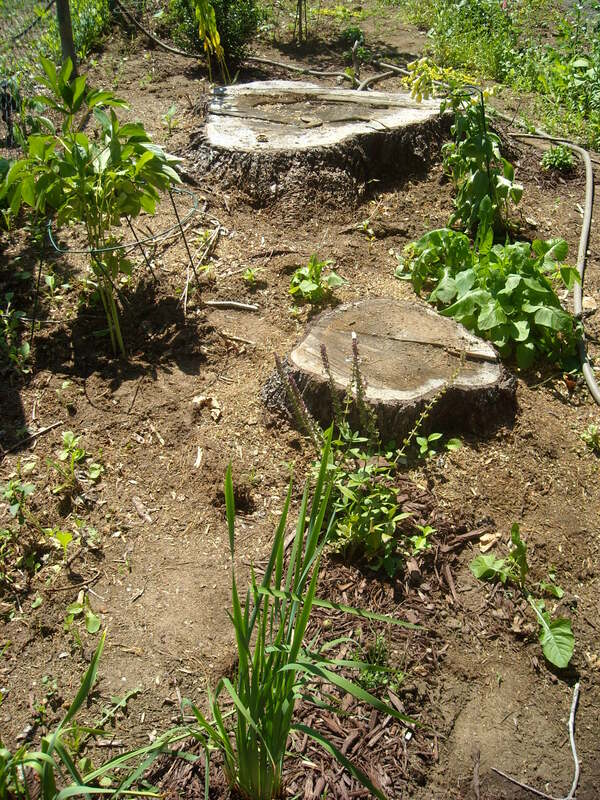 My June Garden 2013 – Writer. Editor. Storyteller. 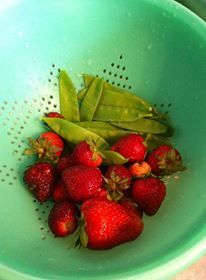 The early harvest of sugar snap peas and strawberries. June is when the literal fruits of your gardening labors begin to show up. The plants get big, and flowers turn to fruits and vegetables… but not quite all of them. While I spent much of this month collecting strawberries, pea pods, and various greens I’m still waiting for a ripe tomato and a squash big enough to be worth picking. 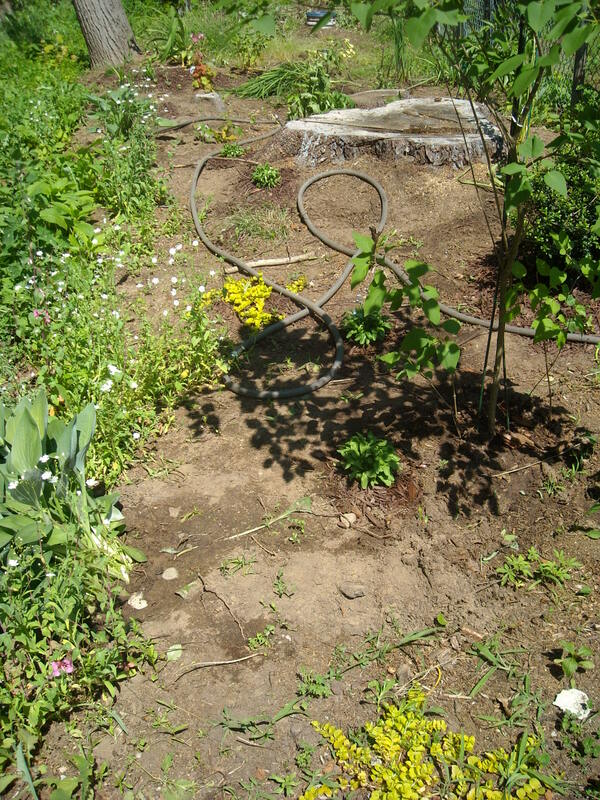 And, if you saw the May post about my garden you’ll know that one of my biggest challenges this year is the wasteland which — because it’s behind my fence — I am referring to as “The Pale.” I started tackling this problem by throwing wild flower seeds down, which turned out to be a terrible idea. Plants began to sprout but I had no way of knowing what was a wildflower and what was just going to be a weed (which, I realize, is a bogus distinction). This drove me crazy, especially because I look out of my office window at The Pale all day long. So, I started to rethink my strategy. Kind neighbors gave me some of their overflow — irises and grasses — and I sought out a variety of ground covers. And because I tend to go crazy in the plant shop, I also put some extra out there — daffodil bulbs, columbine, something that I can’t remember the name of. Then my friends came over on Memorial Day and invited me up to their large garden to take as much as I could carry. A few weeks later I took them up on their invitation and came home with three lilac bushes, three clumps of hostas,irises, flags, a peony and some phlox (which aren’t looking so hot), a bleeding heart, and foxglove. There are still plenty of weeds and possible wildflowers out there. I’ve also succumbed to my plant store addiction and bought a couple more plants. Though The Pale is still a bit of a mess, I have faith that next year it’ll look great — and maybe even end up the highlight of my garden. In the meantime, I have to contemplate dealing with my over grown front beds. 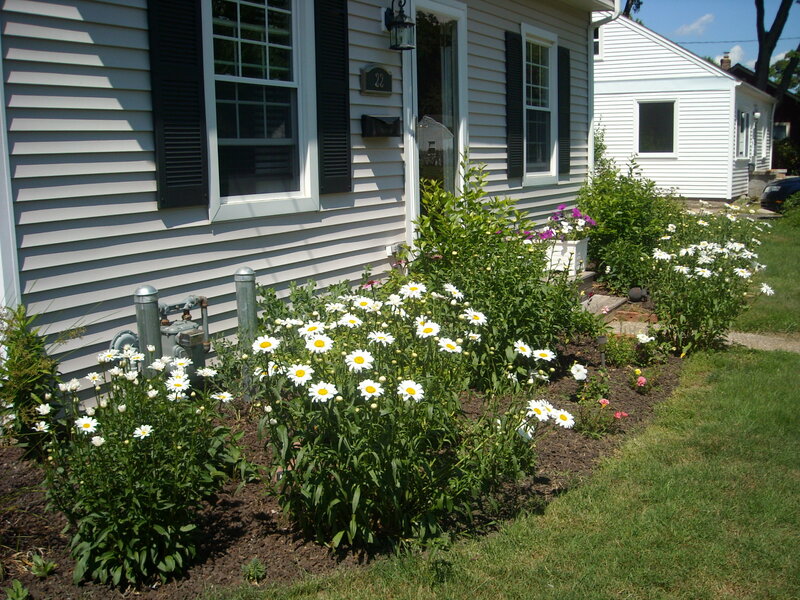 THE SHASTA DAISIES ARE TAKING OVER! A section of The Pale. A different view of The Pale. I’m going to have to move most of these. Happy Sunday: I can’t cook, he doesn’t need to know that. Though a garden can be a lot of work, it is so rewarding to reap the fruit of your labor. Hoping next year brings such wonderful pleasure as you look out into The Pale which you may want to rename next June. 🙂 Happy gardening!